Hot dipped Galvanized bolts with nuts. Note sizes needed for fittings. Two sizes for all your gates. Heavy steel construction. Latch automatically locks in place using gravity pins. No springs to wear out. Latches from either direction. Powder coated for long life. Larger latch (Sliver finish shown) fits up to 2" gate. Smaller latch (Black finish) is ideal for chain link and ornamental gates (1 1/4"-1 1/2"). Gravity fork latch for chain link gates. 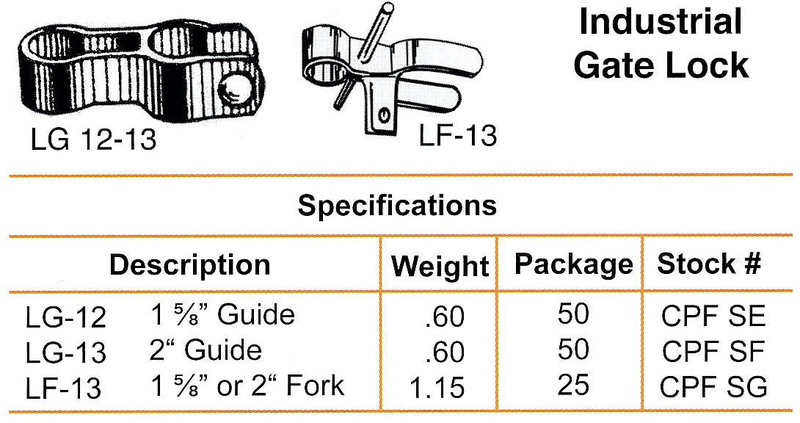 Fork latch hanger fits only 1 3/8" gate. 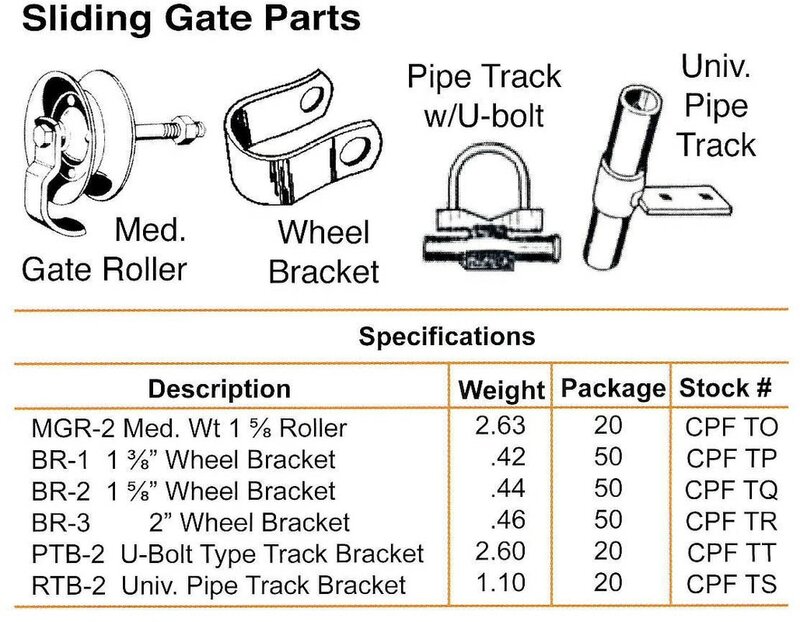 1 5/8" available and also fork latches for square tubing gates. Galvanized steel bars used to attach chain link fabric to posts. Also available in 144"
Die Cast for top rail. Post shown in first size-rail is second size. 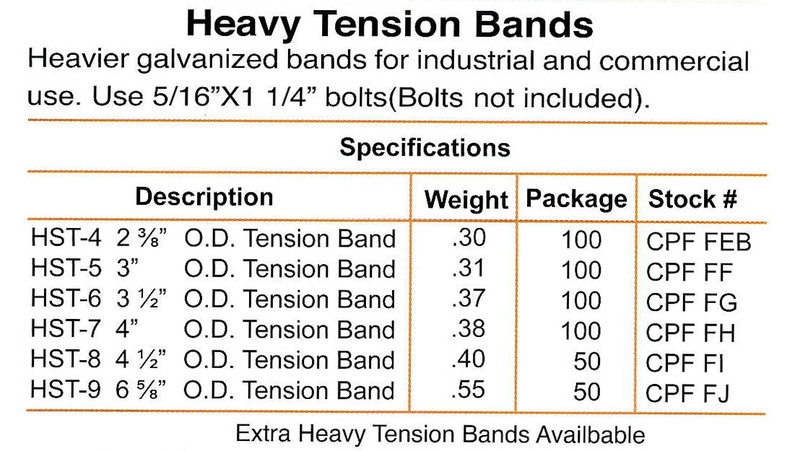 for stronger top rail loops for industrial and commercial use. Other sizes not shown available. 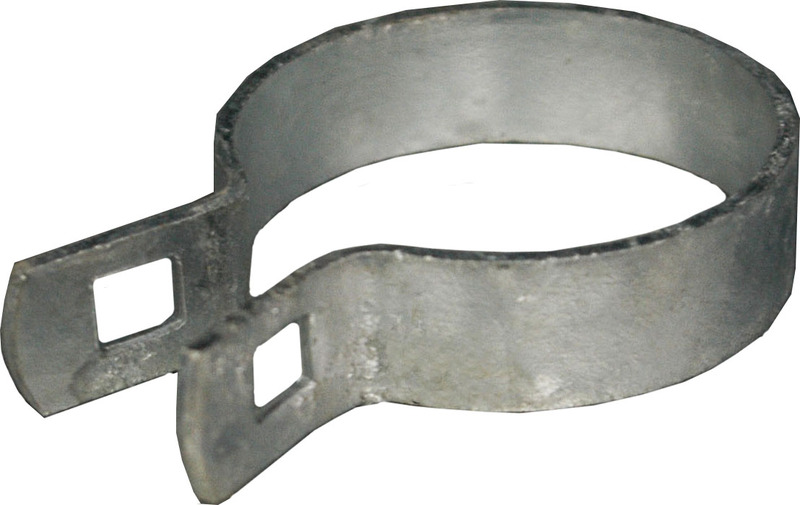 Galvanized steel sleeve used to splice rails together. Die Cast lug used with brace band to attach top rail to terminal post. Pressed steel also available. Die Cast aluminum tops for 2 3/8" post. Adapter to use for odd angles or 3-4 way attachments. 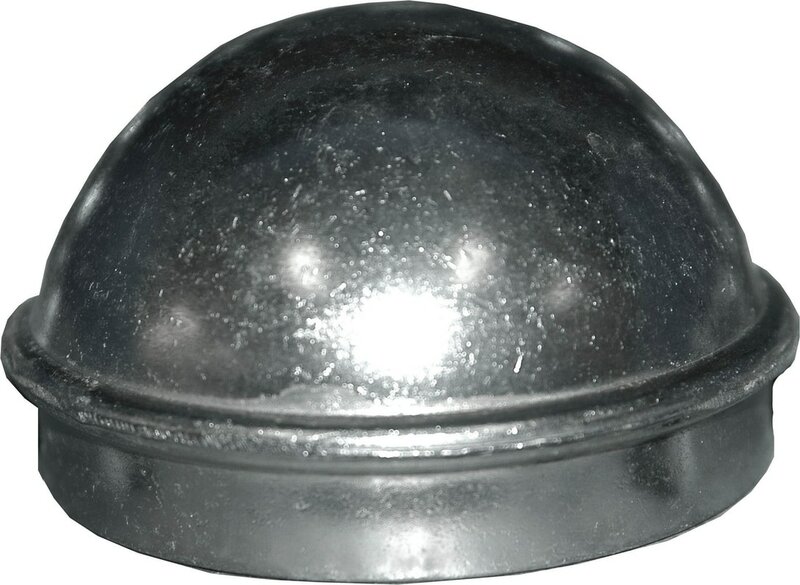 Die cast aluminum or pressed steel fits outside post. Order by post outside diameter. Pressed steel band with 5/8"pin. Fits gate posts up to 3". Use 3/8" bolt not included. Male Pin Hinge for attaching gate to wood using lag screws (not included) 5/8" pin. Heavy Duty pressed steel hinge. 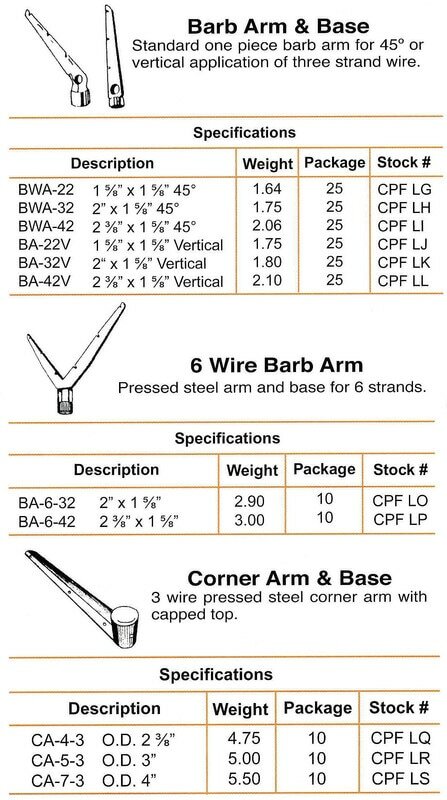 Fits posts up to 6 5/8". Gates should have foot at bottom to fit into hinge. Fits 1 5/8" or 2" frame.